Artists work should be a reflection of one of these. When a student wins, their school wins too! 5 Honorable Mentions, with a prize of $100.00 each in art supplies, will also be awarded for each Category. 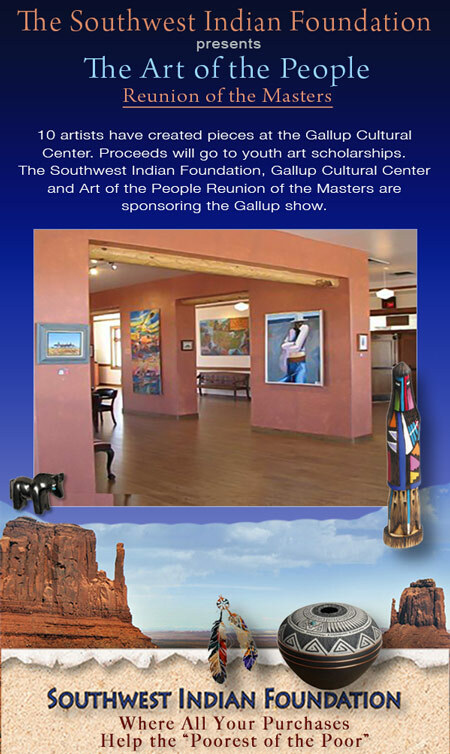 Participant's work will be exhibited in the Masters Gallery at the Gallup Cultural Center during the months of December, January and February. 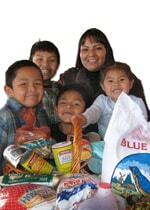 Winners will have their work exhibited all year long at the Gallup Cultural Center. Each school may select up to 15 pieces per category, e.g., 15 pieces for K thru 6th and 15 pieces for Special Education. Each student may submit only one piece. All mediums are acceptable, except photographs. Drawings and paintings must be matted and no larger than 24 inches by 24 inches. Each submission must have TWO 3 inch by 5 inch Index Cards with the following information: Piece Name, Artist Name, Artist Grade, School Name, Art Teacher and Price (if student wishes to sell their piece). The first index card should be firmly attached to the BACK of the submitted piece. The second index card is the Exhibition Card, which we will place on the submitted piece after the judging is completed. This card should not be attached, but simply enclosed. In addition to the two index cards submitted for each piece, the Art Teacher must complete a Contact Information Sheet for each category of work submitted: see attached form. Winners must agree to leave their pieces for exhibition at the Gallup Cultural Center until the following year's submission deadline. If you would like us to mail your students work back after exhibition, please enclose a check payable to The Southwest Indian Foundation in the amount that it cost you to mail your submissions to the Gallup Cultural Center. Prize money must be spent on certified art classes, art supplies or other qualifying educational expenses. ALL submitted pieces MUST be sponsored by a school art program or private art class.